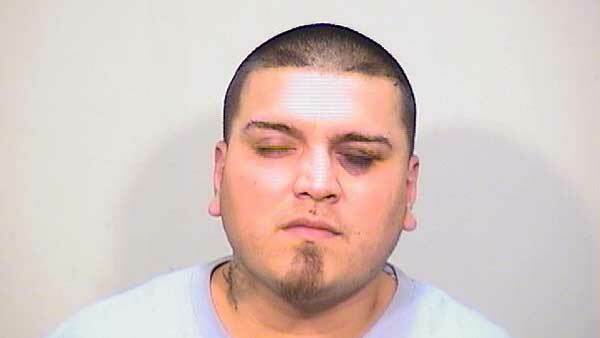 BEACH PARK, Ill. -- A north suburban man has been charged with firing a gun during a gang fight in Beach Park last month. Lake County sheriff's deputies were called about a fight in the 9800 block of West Oak Forest Drive in Beach Park at 2:45 a.m. Jan. 30, the sheriff's office said in a statement. When the deputies arrived, they learned someone had fired shots during a fight between two rival gangs. The shooter was no longer on the scene when investigators arrived, but was later identified as 27-year-old Eric Bickwermert, police said. Officers referred to him as "a registered street gang member." Bickwermert, who lives in the 1500 block of Lorelei Drive in Zion, was charged with unlawful use of a weapon by a street gang member, unlawful use of a weapon by a felon, aggravated unlawful use of a weapon without a FOID card and reckless discharge of a firearm, the sheriff's office said. He is being held at the Lake County Jail on $75,000 bail, according to the sheriff's office. He was expected to appear in court again Wednesday morning.